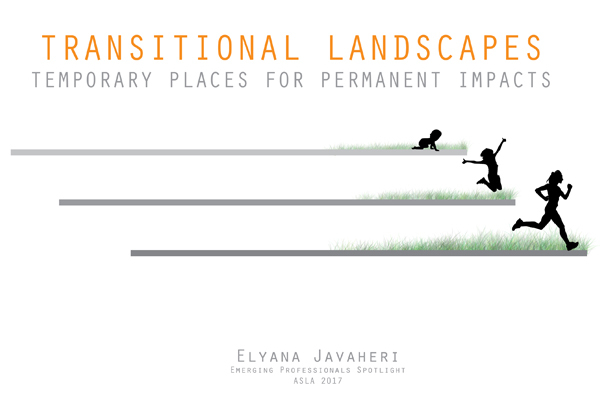 ‘Transitional landscape’ often refers to a median space between two main spaces, but what if we evaluated the concept of ‘transitional’ differently? What if transitional landscape referred to a timeline? Whether it is due to social, economic, or natural issues, many individuals often find themselves in transitional living situations—voluntarily or otherwise—such as camps, shelters, prisons, and temporary housing, to name a few. Most individuals who seek these temporary and transitional living circumstances have experienced trauma and post-traumatic stress disorder; however, the landscape and shared spaces of these places are far from serene, beautiful, and considerate of the physical and psychological needs of these individuals. The question that this research seeks to answer is how can landscape help improve the lives of those already suffering from trauma and unfortunate circumstances, through specific research on needs of individuals suffering PTSD, and designing a landscape in response to those needs in a local context. Within the context of environmental psychology, understanding the significance and importance of landscape architecture to the psychological wellbeing of individuals. Study & analysis of case studies of transitional/temporary housing landscapes, their challenges, and opportunities. Design strategies and elements to use in transitional landscapes. Gain an understanding of the relationship between mushrooms and urban wastewater treatment, and how this untapped byproduct might be cultivated for future use. Learn about the properties of mycelium and the process of growing it into structures for short and long-term applications. 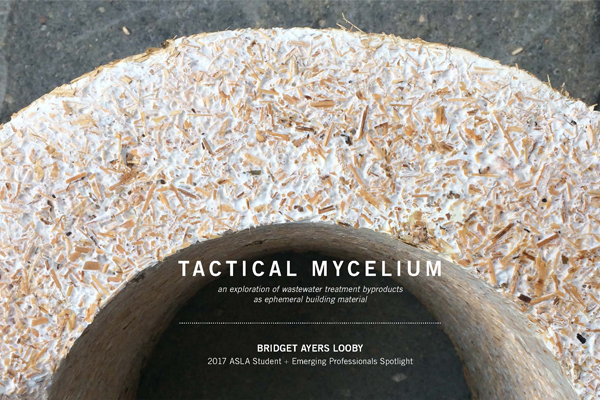 Learn about the methodologies and challenges of growing mycelium into a singular, self-supporting form. 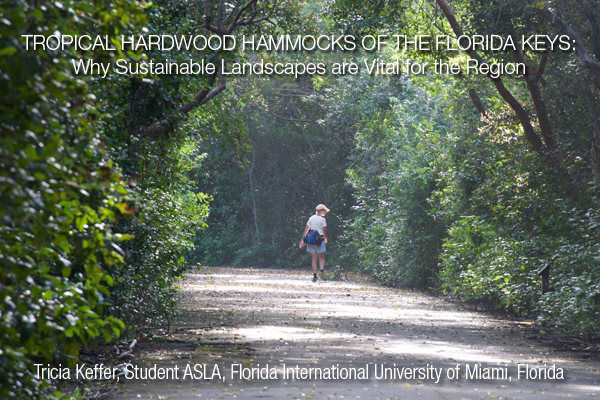 The tropical hardwood hammocks in the Florida Keys are vital to the regional ecology of North and South America. Migrating birds from the Northeast travel through this corridor to South America for the winter. The Keys are the last “spring board” to prepare for the oceanic flight. If we lose this habitat, biologists suggest that it will be detrimental to habitats from North to South America. How can landscape architecture create spaces for people to enjoy the Florida Keys environment and preserve it at the same time? Understand why the tropical hardwood hammocks are a key component for migrating birds. Gain a greater understanding of the details of the tropical hardwood hammocks: their historical plant community, soils, topographical map, water, and plants. See how can we design an ecologically sensitive habitat for people, plants, and wildlife. The recent conclusion of the inaugural 2017 Honolulu Biennial art exhibit, a network of art installations throughout Downtown Honolulu, marks a milestone achievement in the development of a local contemporary art program. Hawaii’s geography, culture, history, and tourism contribute to the unique art scene of the islands. “Living Aloha” is a cultural statement meaning mindful living and connecting to the land. This mantra is reflected in Hawaii’s people, art, and culture. As the public art scene continues to develop and emerge in cities across the world, landscape architects have a responsibility and opportunity to design spaces for art and cultural exchange. 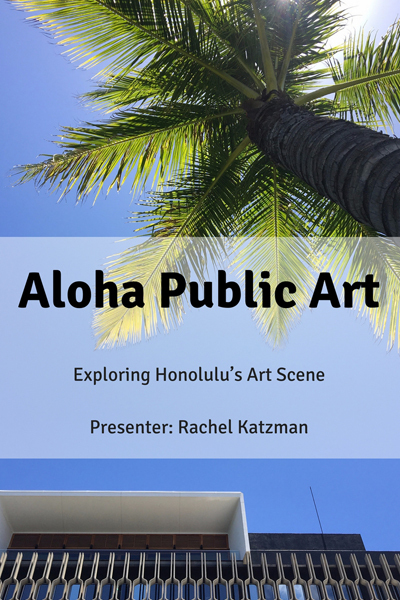 Gain insight about the contemporary public art scene in Honolulu as a model for cities worldwide. Understand how local culture, history, geography, economy, and tourism influence local contemporary artists. Discover how landscape architects can lead the conversation about public art by designing spaces for artistic expression. 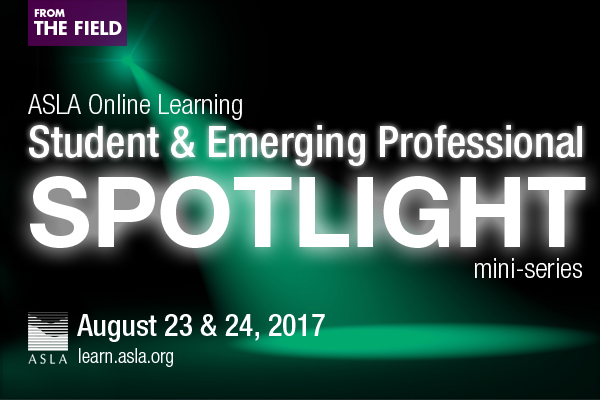 **Once on the registration page, sign in with your ASLA member ID and password to receive the member discount. 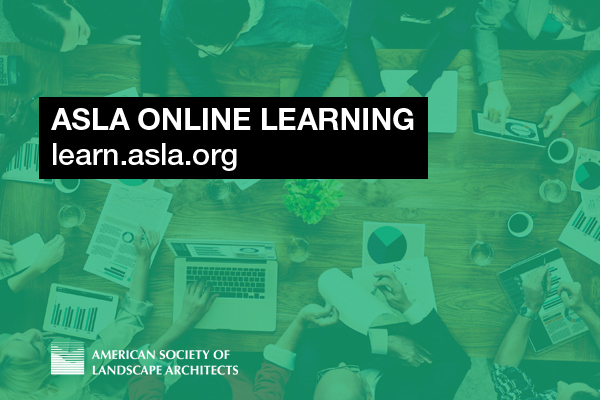 ASLA Online Learning presentations provide information on new and evolving practices and techniques. These distance learning opportunities are also a convenient and affordable way to earn Professional Development Hours (PDH) needed to meet state licensure requirements. PDH are approved by the Landscape Architecture Continuing Education System (LA CES) and can be earned after viewing a presentation by completing and passing a self-study exam. Be sure to check state mandatory continuing education requirements to ensure that LA CES courses are compatible with your state requirements.